A southwest Houston resident left behind dozens of scorpions and tarantulas when abandoning his apartment. HOUSTON, Texas (KTRK) -- Dozens of live scorpions and spiders were seized from an abandoned apartment in southwest Houston on Tuesday morning. Representatives from the Houston SPCA removed shoe boxes and plastic containers containing 69 animals from the scene after a maintenance crew from the apartment complex made the odd discovery. More than 50 of the animals seized were baby scorpions, and three dead tarantulas were also found. According to Houston Zoo experts who helped the SPCA identify the animals, all but one of them is considered venomous, but not lethal. Authorities seized several shoe boxes and plastic containers full of scorpions and spiders from a southwest Houston apartment. The animals will be taken to a veterinarian for an examination, and the SPCA will go to court and seek custody of the animals. They could be eventually turned over to the Houston Zoo or another animal rescue organization. A Precinct 1 cruelty investigator was told an exterminator will treat the unit before the next tenants move in in the event that any additional creatures escaped before authorities arrived. The animals in question would not pose a threat to humans unless provoked, according to authorities. "Unless you hurt them, they don't bite. They've got to be in fear," said Chris Kendrick with the Precinct 1 constable's office. They're back! 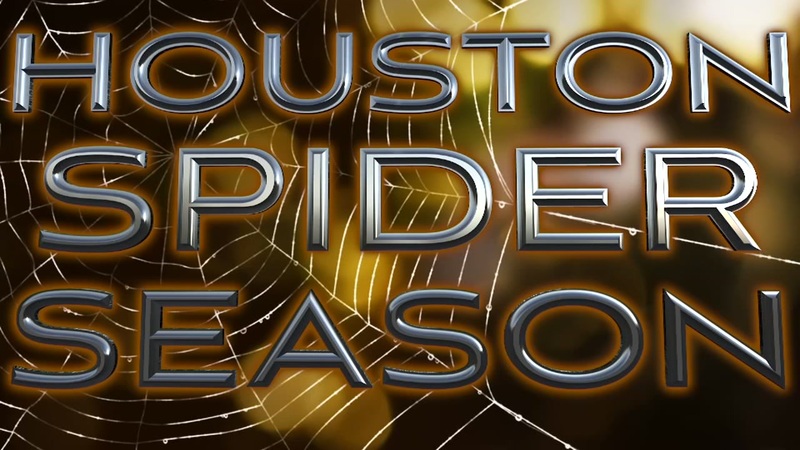 With the start of spider season in the Bayou City, we're taking a look at the eight-legged creatures.